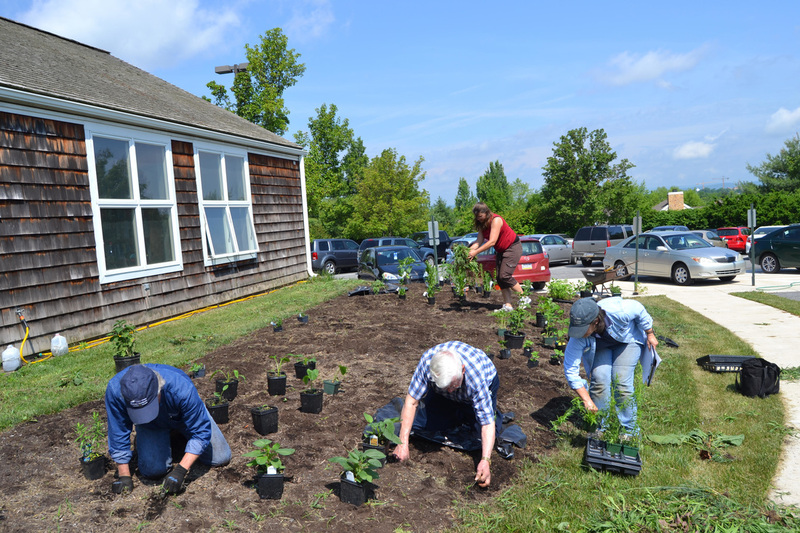 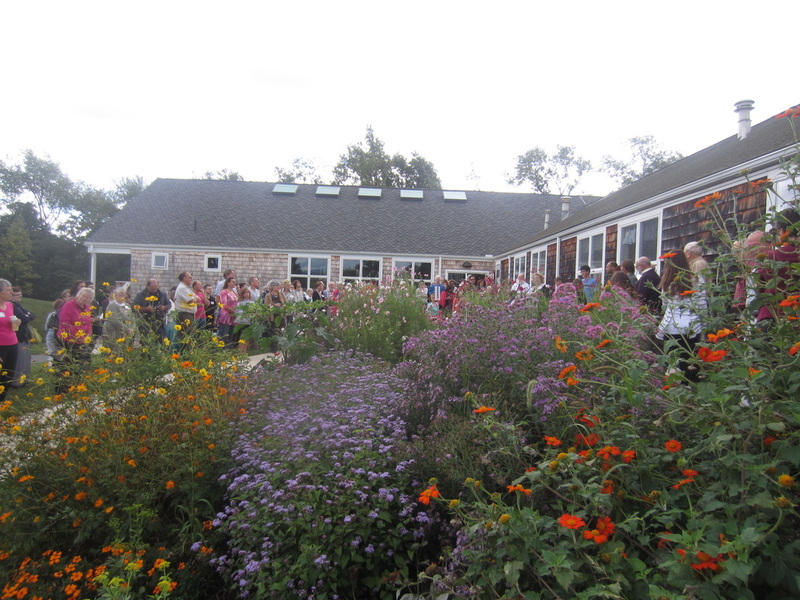 This garden was established in 2015 at the State College Unitarian Universalist Fellowship. 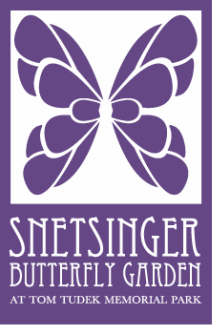 It was dedicated in a special ceremony featuring congregation members "Butterfly Bob" Snetsinger and wife Wendy. 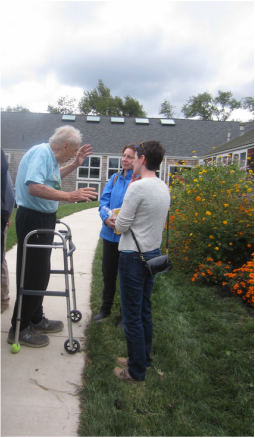 "Butterfly Bob" talks to parishioners.